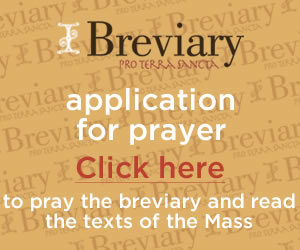 The Liturgy of the Hours application (iBreviary Web) starts with the Invitatory assuming that you are praying morning prayer at the first hour of the day. Most parish communities who pray the litrugy of the hours opening morning prayer with "God, come to my assistance - Lord make haste to help me". In the IBreviary App to start morning prayer this way you will need to scroll down past the Invitatory and Psalms with Antiphons until you see the text "If the invitatory is not said, then the following is used:"